Fort Simmons, and Battery Bailey were the outposts of Union soldiers used to protect the city of Washington during the Civil War. In 1938, Cooper Lightbown, the famous builder of Marjorie Merriweather Post’s 117-room Florida estate Mar-a-Lago, began to divide what had been farmland on both sides of River Road into plots. He designed and built the first homes as Brookdale North and South. 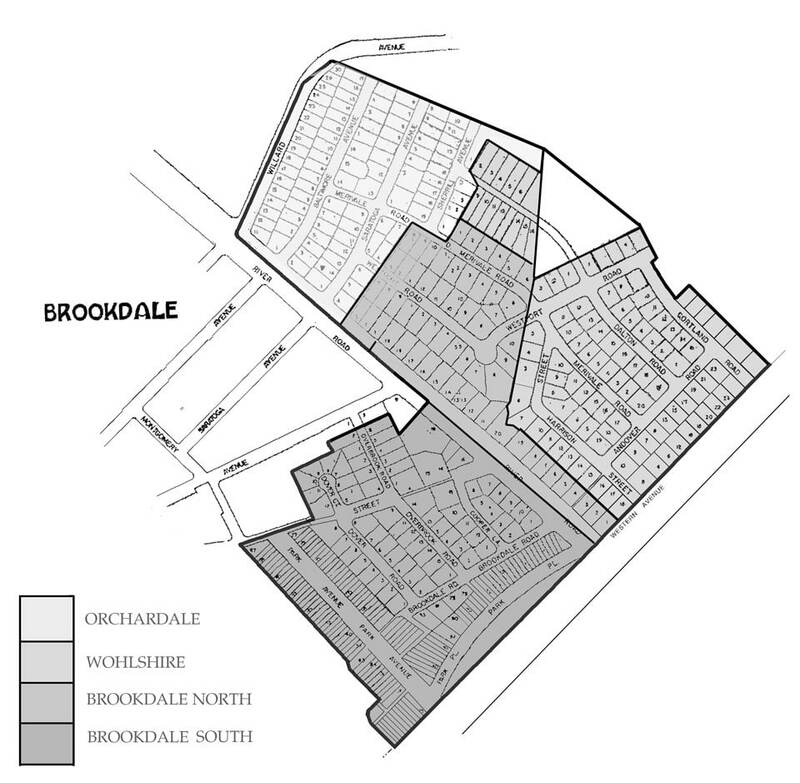 Today, Brookdale also includes 36 Wohlshire homes, the red brick Orchardale section and homes along and near Willard Avenue, plus several farmhouses that preceded these developments. The area remains shaded by a great variety of trees, large and small, and is brightened by azaleas, dogwood, and cherry trees in the spring. Brookdale is a neighborhood of about 1000 residents in 370 or so homes. It straddles historic River Road and extends from Western Avenue (the District of Columbia line) north and west into Montgomery County, Maryland. In 1958 the Brookdale Citizens’Association was incorporated. 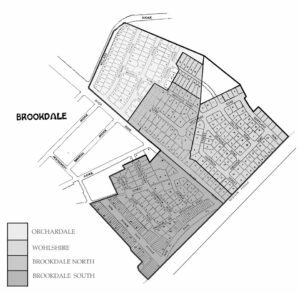 In November 1971, the Orchardale (Tri-Community) Association was merged with the Brookdale Association. This created the borders of the Brookdale Community as they are today.